While school retention rates have reached the highest level ever recorded in Australia, more needs to be done to help young people experiencing disadvantage and geographic isolation according to a new report. The annual How Young People are Faring report by the Foundation for Young Australians (FYA) has called for more effective approaches to equip young people for what it describes as a changing and increasingly uncertain labour market. “The lesson that emerges is that traditional education pathways are not enough in themselves to help young people enter the world of work. New approaches are needed to provide young people with the skills needed to negotiate the new labour market. For this reason, a more robust national approach and strategy with regard to careers pathways is required." The FYA report was prepared by Lyn Robinson and Stephen Lamb, researchers in the Centre for Research on Education Systems (cres) at the University of Melbourne. “However, the data suggests that we should not become complacent about broader and alternative pathways from school to work, further study and training,” Owen said. “How Young People are Faring 2012 has some good news in terms of educational attainment – the gains over the last decade are significant,” according to Associate Professor Lucas Walsh from the Faculty of Education at Monash University and FYA’s Senior Research Fellow. The report says that at 16.6 per cent, youth unemployment remains almost three times higher than for the population as a whole. 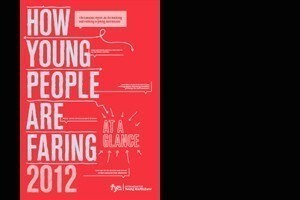 Unemployment rates decreased by less than 1 per cent for 15 to 19 year-olds and not at all for 20 to 24 year-olds. The percentage of teenagers seeking work is as high as it was last year. “It’s simply not good enough that while Australia’s economy has fared well both in recent years and recent decades, young people are still not seeing the benefits of our country’s prosperity,” Owen said.